HCL Tech, Infosys or TCS: Which IT major looks best bet post March-end results? VICENZA, Italy – As U.S. Army Africa coordinates partnership events with land forces of countries within Africa, they’ve also partnered with a team of West Point cadets who researched ways to streamline the command’s planning process. Three cadets recently spent three weeks at Caserma Ederle, headquarters of U.S. Army Africa – the Army’s newest service component command for U.S. Africa Command. Cadets often tackle summer projects, either with military commands or civilian organizations. West Point faculty organizes Academic Individual Advanced Development (AIAD) opportunities for cadets to study and gain experience in the States and overseas. U.S. Army Africa asked the trio to take a closer look at the use of the Theater Security Cooperation Management Information System (TSCMIS) – a database that tracks command events across Africa, mission costs and event goals. "At first, we were not sure exactly what the problem was – a perfect situation for systems engineers, who learn to identify problems and offer better solutions," said Cadet Ryan Moschitto, 21, of Atwater, Calif., a systems engineering major who starts his senior year this September. They began by interviewing people involved with the planning process. From that, they identified inefficiencies, redundancies, and inadequate procedures for the use of TSCMIS as a planning tool. The cadets then briefed their findings to the command staff and suggested ways to resolve issues. "At West Point, they always say you are going to make a difference, but sometimes as a cadet you don’t feel that," Moschitto said. "We’re trying to make a difference and contribute to the Army.and we’re still cadets. That’s kind of cool." Having a fresh perspective allowed the cadets to focus on the system and develop ways for the command to improve, said Lt. Col Stephanie Tutton, who worked with the AIAD cadets during their stay. "Their assessment will lead to a methodology our command may use for the next five years or more," Tutton said. "Their work will become a part of our history." The assignment’s real-world applications were part of the appeal of coming to Italy, offering something to the military and for their academic major, said Cadet Brian Asman, 21, of Livingston, NJ, a senior who hopes to become an Army aviator. The program is similar to any summer internship undertaken by college students, Asman said. 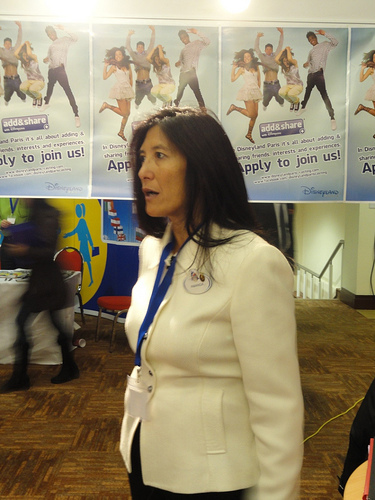 It offers job experience and a chance to apply ideas from the classroom. "At school you learn from books and from lectures," Asman said. "Coming here and putting those ideas into practice is what makes this experience worth it." They may have more work to do for the command, should the system improvements become part of their senior project, Asman said. The visit also offered a look inside a U.S. Army command, said Cadet Andrew Rodriguez, 20, of Alexandria, Va.
"We saw people behind the scenes, the planning and how resources are used," Rodriguez said. "To have a better understanding of this is huge for us." 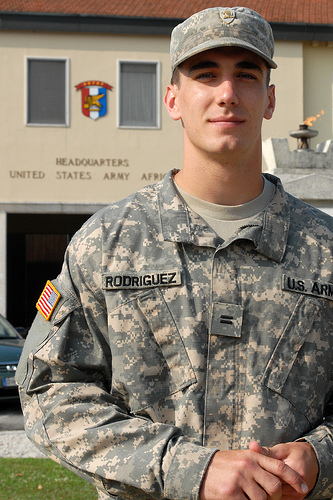 During Rodriguez’s time in Vicenza, the West Point football linebacker, was also profiled by CBS Sports. Just entering his junior year, Rodriguez has not decided on whether he would like to join the infantry or aviation. But his time at U.S. Army Africa opened his eyes to the many roles officers hold in Army commands, he said. "One thing I take away is how U.S. Army Africa officers work together in the command," Rodriguez said. "It gave me an idea of how I’ll do things when I’m in their shoes." At most universities, student ratings of courses are required. This is due to a variety of reasons. Gathering evidence on teaching helps departments make informed decisions related to tenure, retention and promotion. Requesting student to complete evaluation forms sends the message that effective teachers are a clear focus. 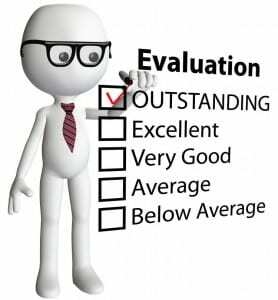 The most important function of evaluation forms is to provide the instructor with feedback that can be used to directly improve performance. Instructors can refine their methods to provide students with better learning experiences. Therefore, evaluations play a positive role in enhancing the climate of teaching and learning. The best way to implement student feedback is through consultation with colleagues. A secondary opinion can be extremely useful when interpreting open ended or opposing viewpoints. For evaluations to lead to change, instructors must reflect on their goals and beliefs related to the course. Reflection on subject matter and learning processes is necessary when attempting to make improvements with feedback from evaluation forms. Going through the job-interview process can generate anxiety for even the most qualified candidates, but according to a new study published in the Journal of Applied Psychology, remaining calm is the key to performing well on standardized job tests. But I also remember going for a job interview in 1984 with Raymond Blanc and every mouthful of that lunch has stayed with me – it included pigeon and ended with an amazing apple souffle. Oh, and I got the job. What's your top tip for amateur chefs? FBI director out of the loop on IRS investigation?